The ShiftPixy mobile app keeps workers connected. The ShiftPixy work and process flows are easy for both workers and business operators to connect their needs in real time. The ShiftPixy app is a lifestyle app for workers to balance income needs and personal availability. 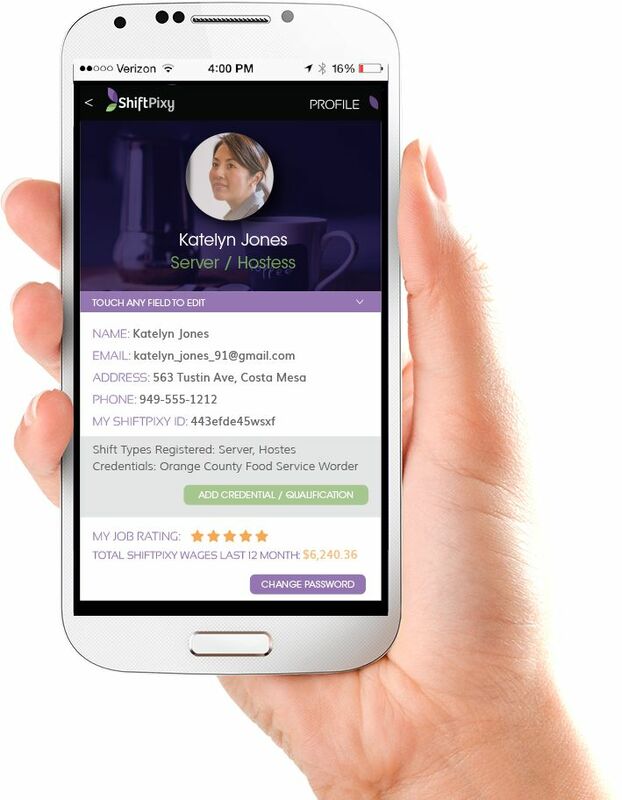 ShiftPixy allows operators to balance shift opening with a continually growing network of qualified shifters and balance employer regulations seamlessly without risk of compliance failure. The ShiftPixy platform is liberating business owners to find workers when they need it.